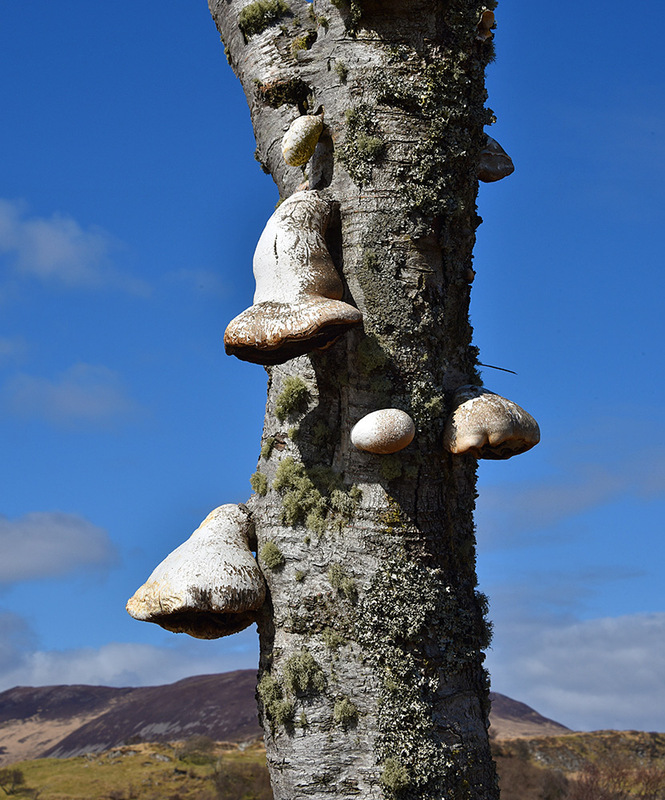 Spotted during a walk in the south east of Islay (that’s Beinn Bheigier in the background), fungi growing on a tree. I’m told they are growing on dead (or dying) trees, the rest of the tree looked pretty dead to me. This entry was posted in Landscape, New Post, Sunny Weather and tagged Beinn Bheigier, fungus, Islay by Armin Grewe. Bookmark the permalink.